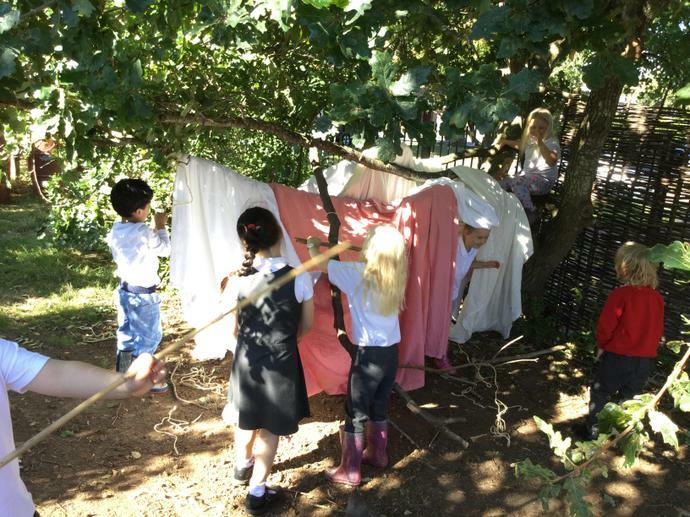 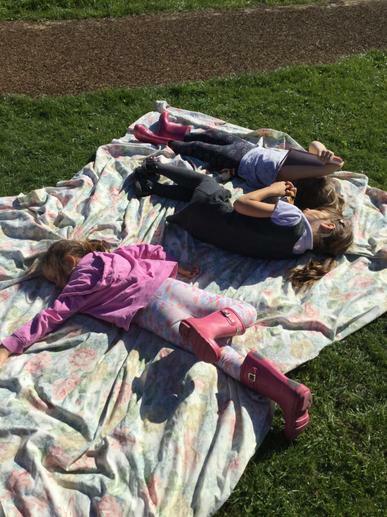 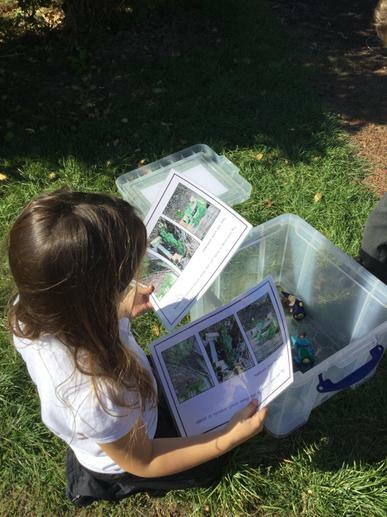 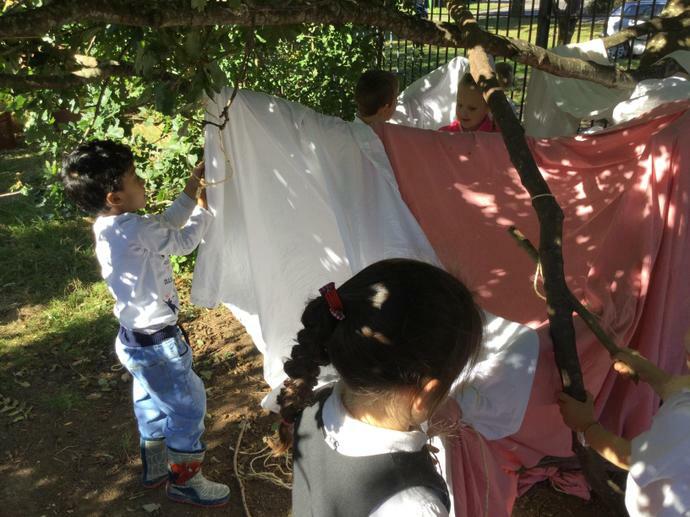 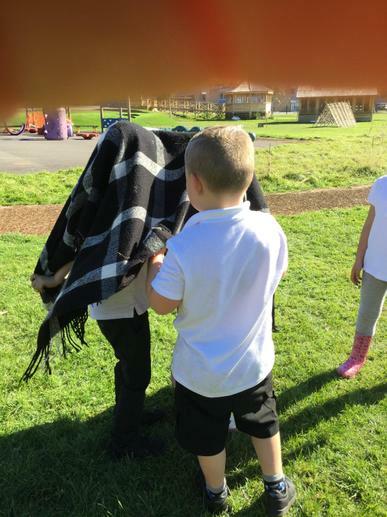 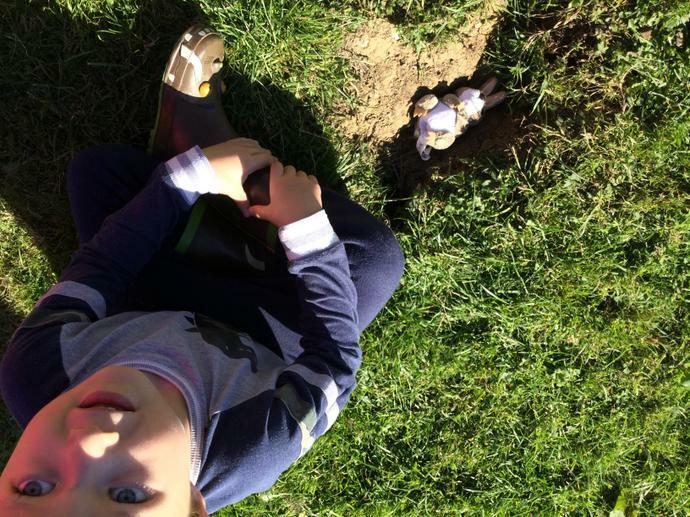 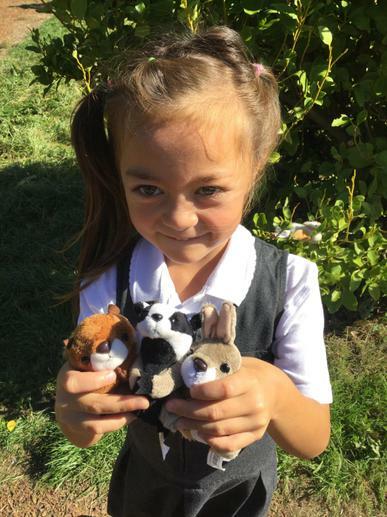 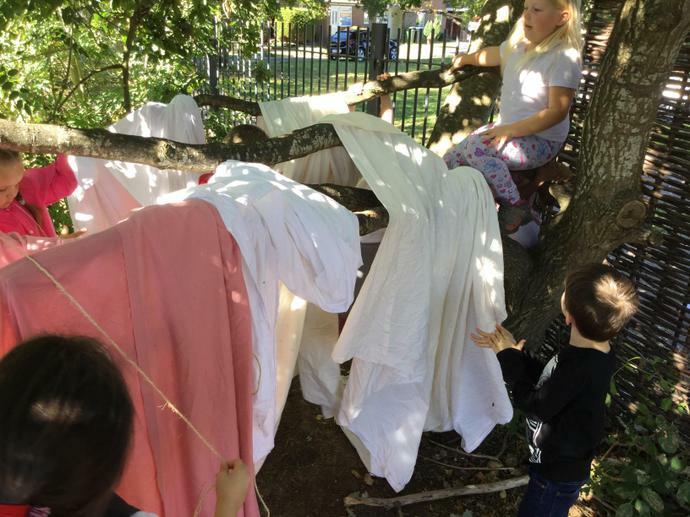 Forest School - We take part in Forest School activities outside every Thursday afternoon. 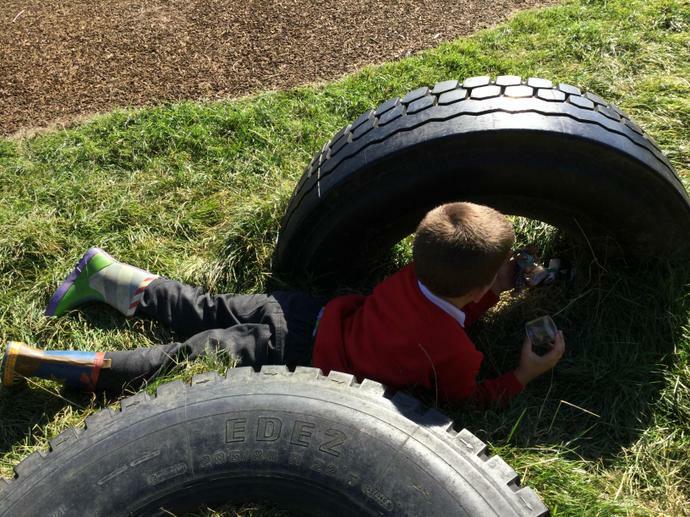 Please can all children have a change of clothes for this (that you don't mind getting muddy) and also a pair of wellington boots as it can get very muddy down in the woodland. 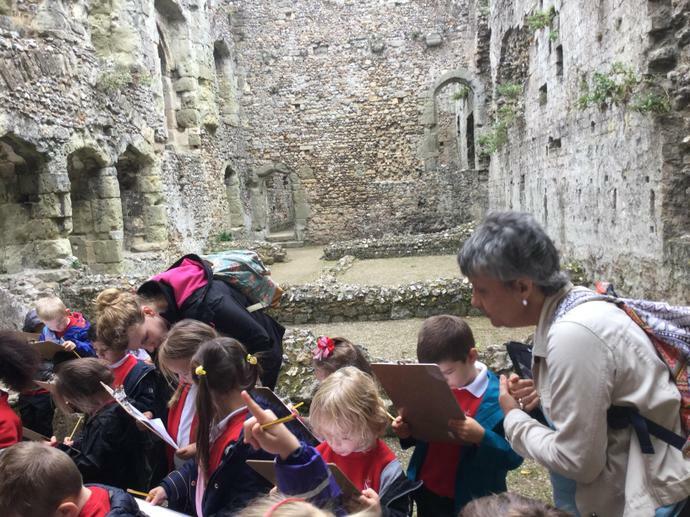 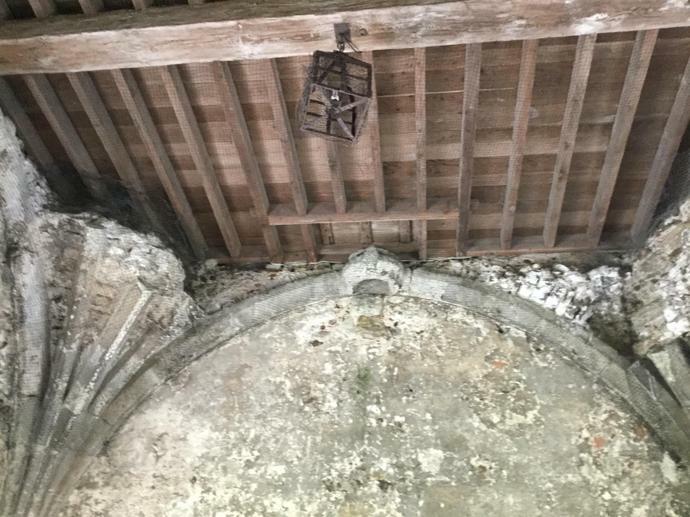 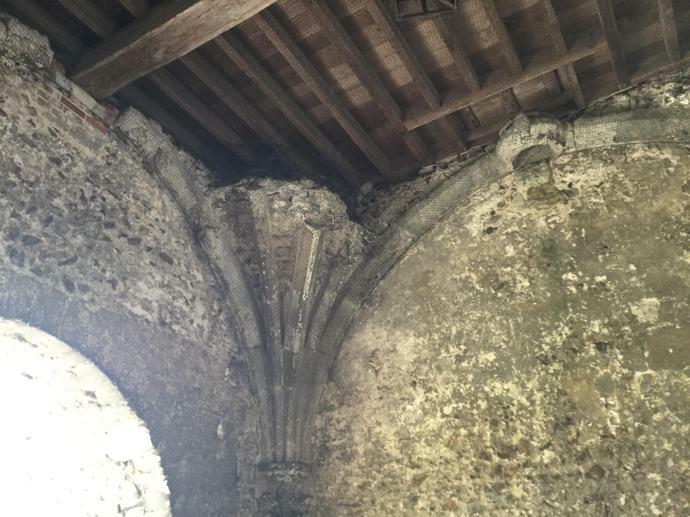 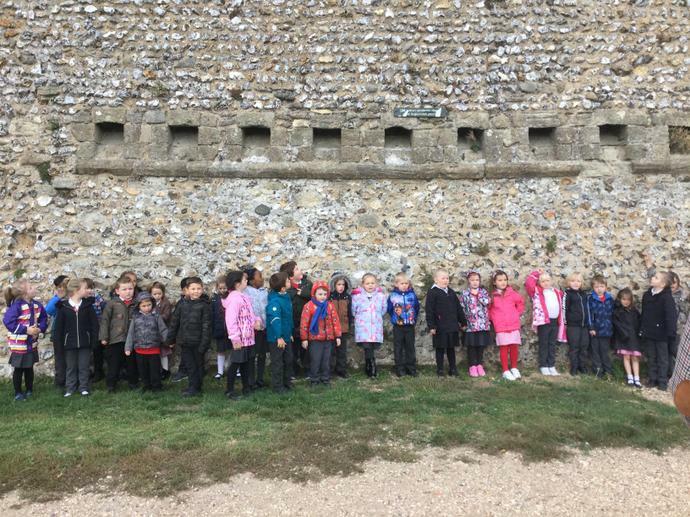 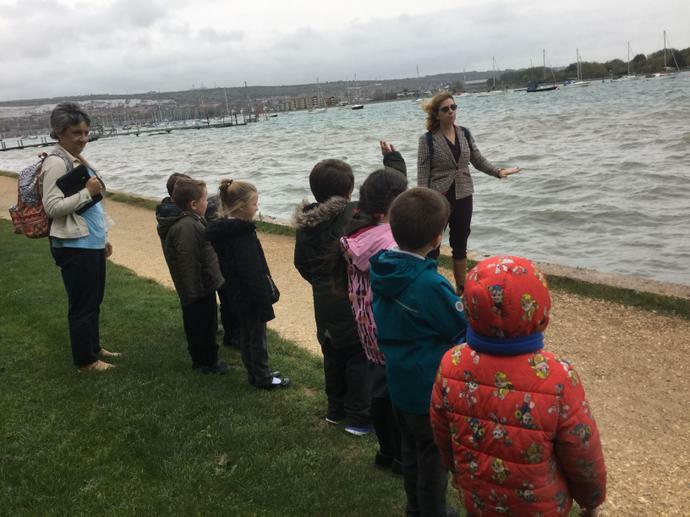 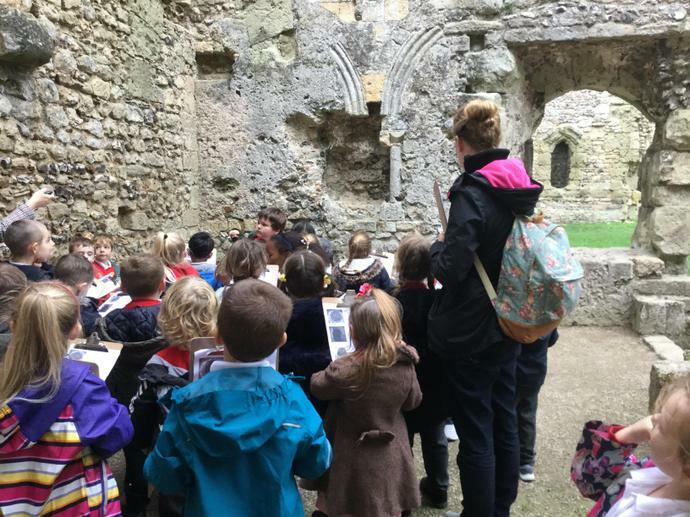 We had a wonderful time visiting Portchester Castle this week. 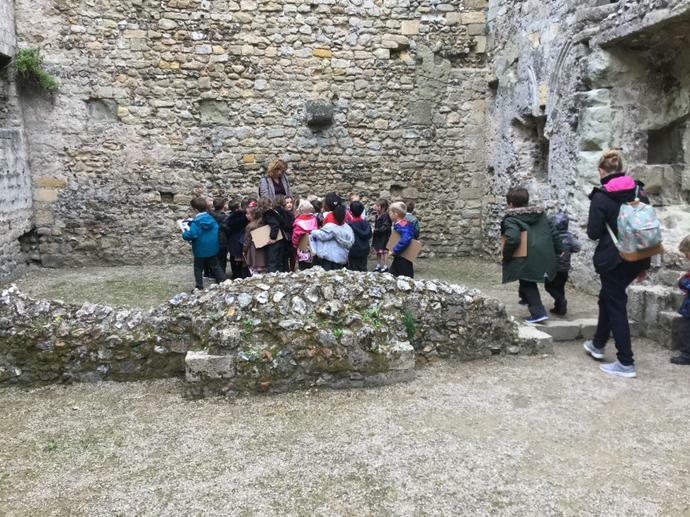 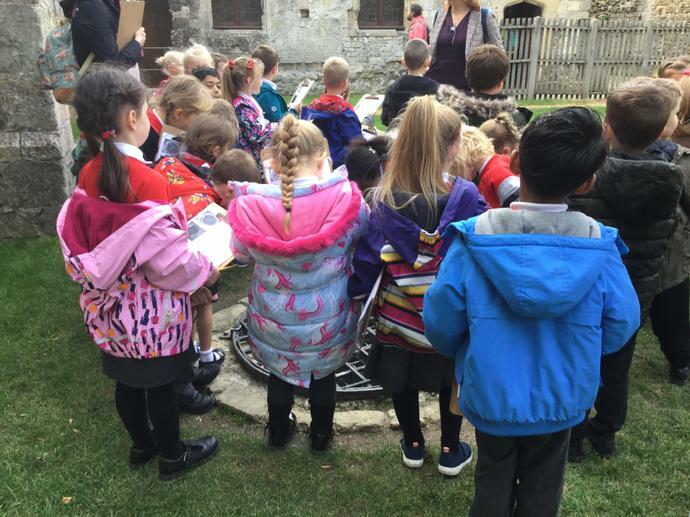 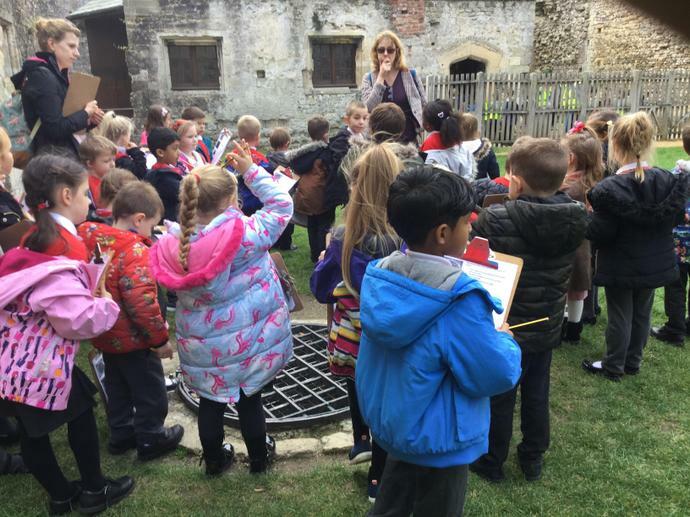 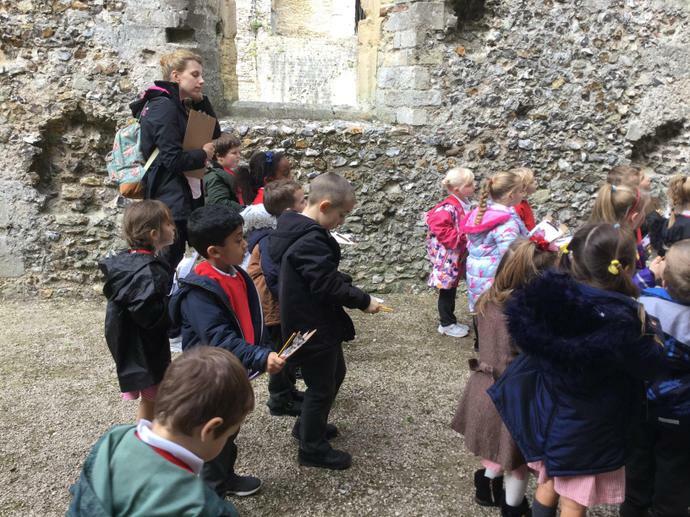 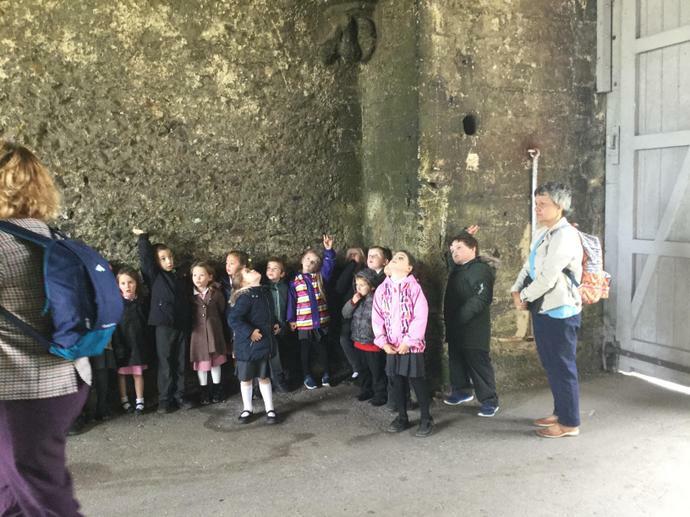 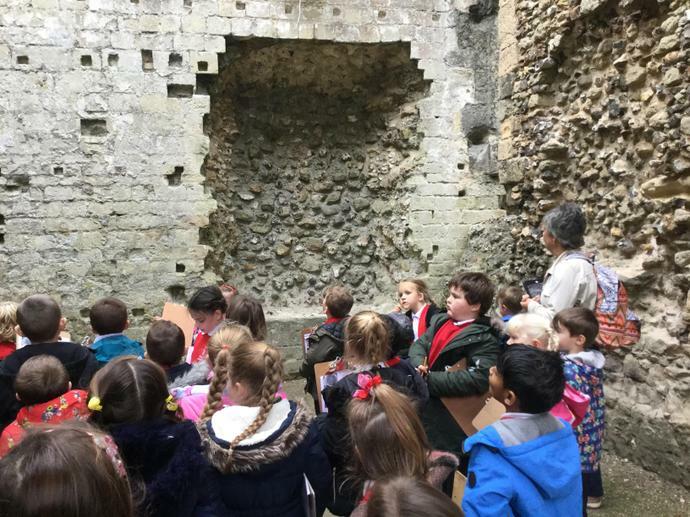 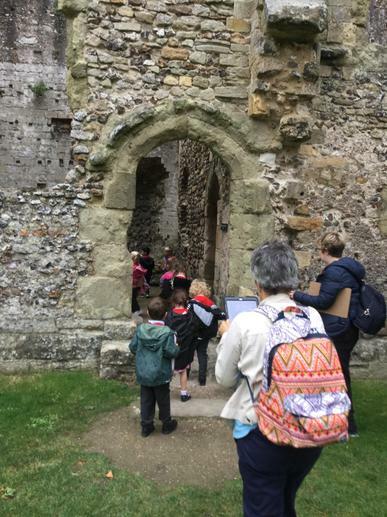 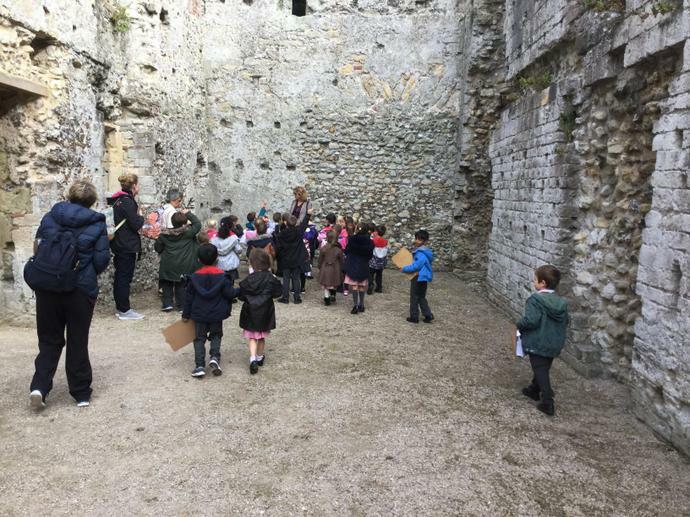 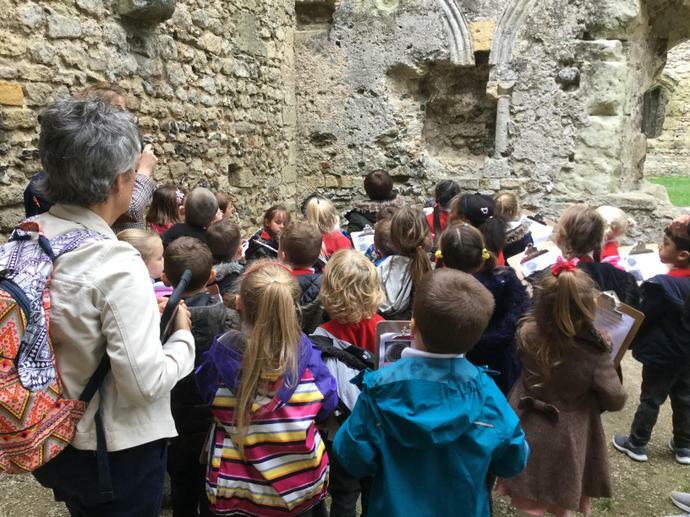 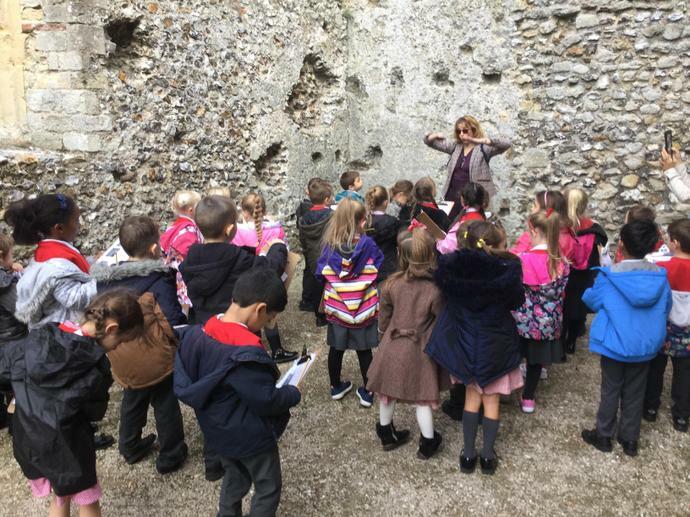 It was great for the children to see all of the things we have been learning about in a real castle and they excitedly pointed out the castle's battlements, portcullis and keep! 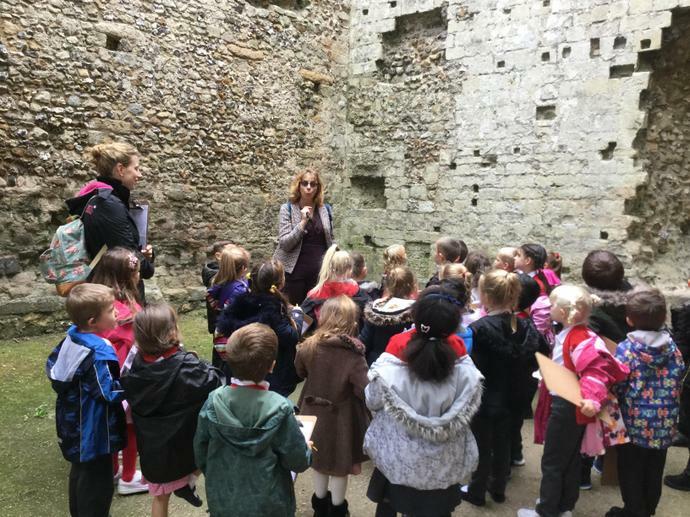 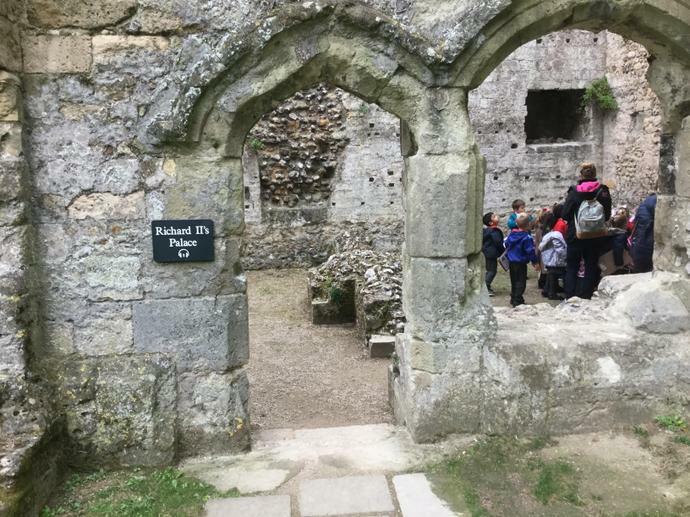 We were able look around both the outer and inner bailey, where we were able to look at important features of a castle. 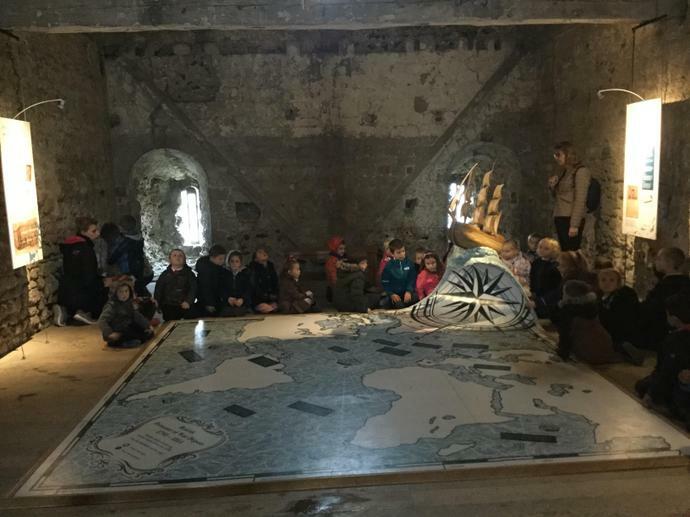 We also bravely climbed up the spiral staircase to the top of the keep where we got a great view! 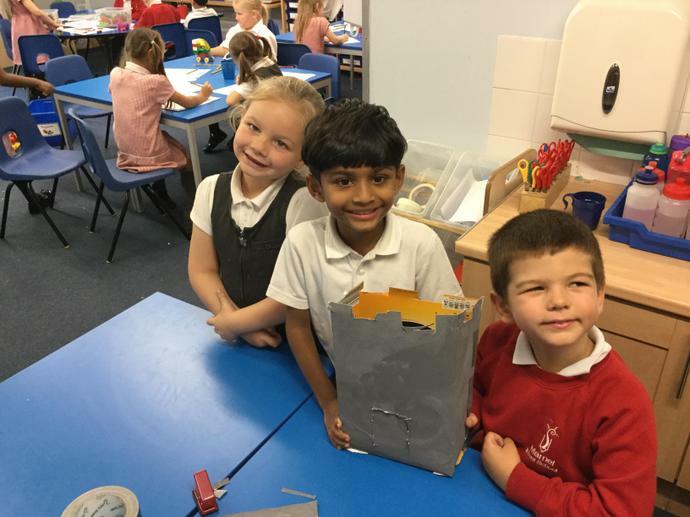 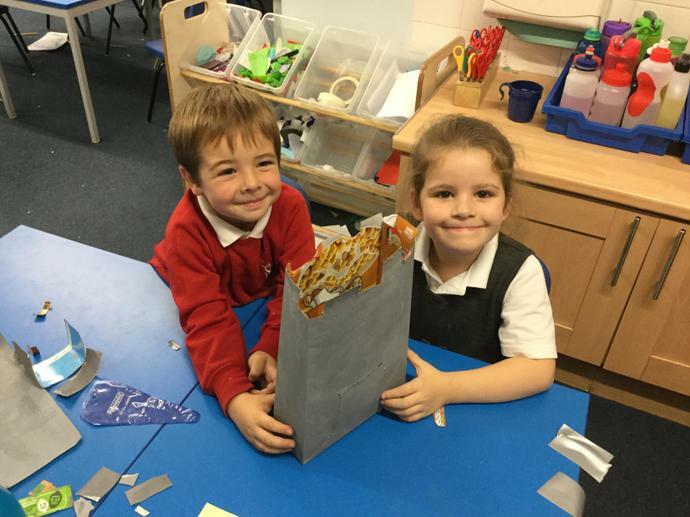 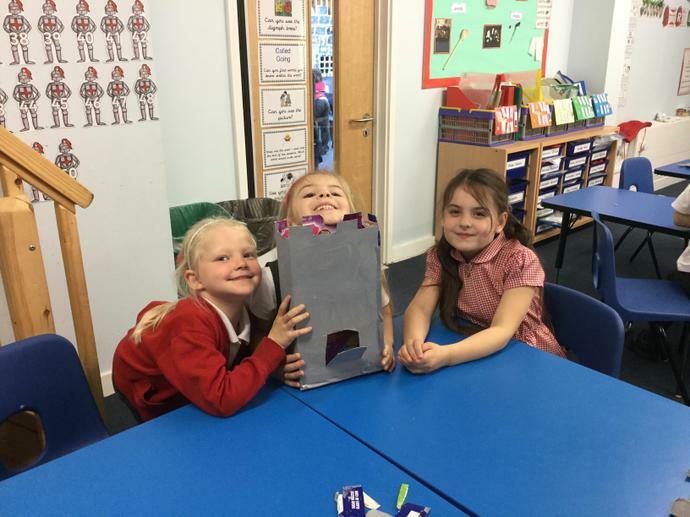 This week we have worked really hard in groups to create our own castles out of recycled boxes. 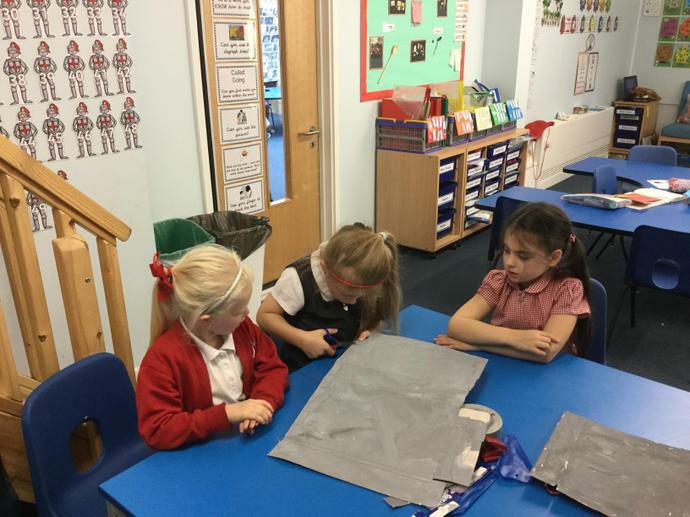 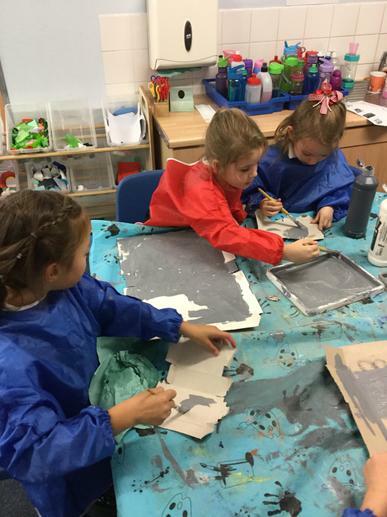 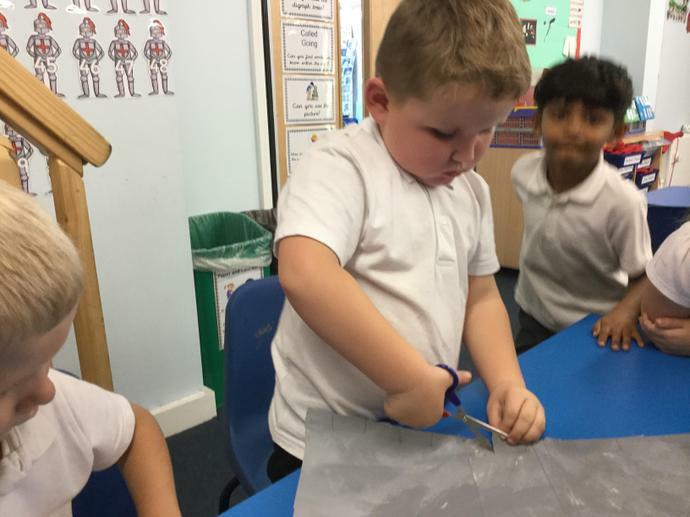 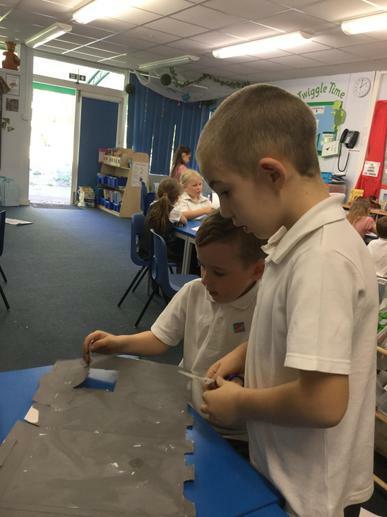 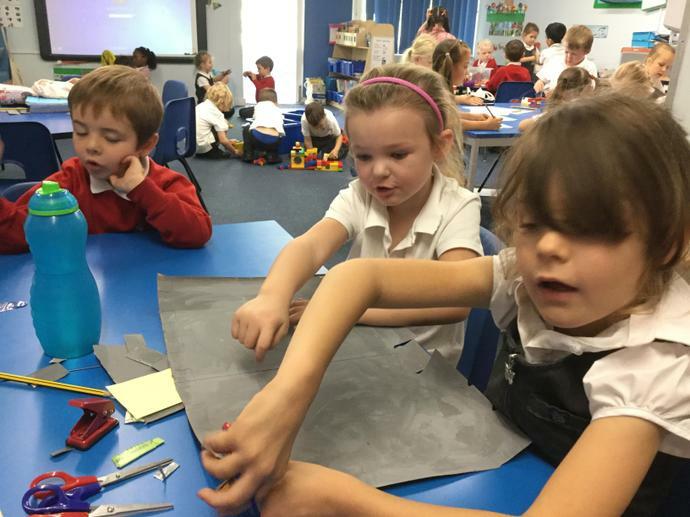 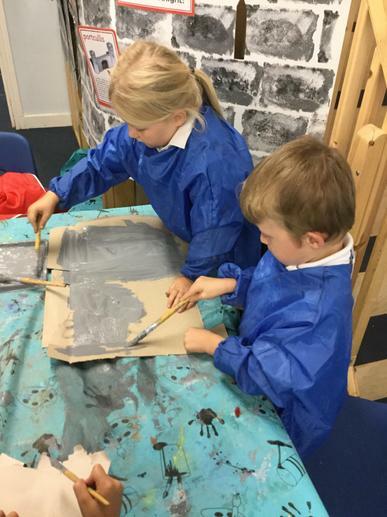 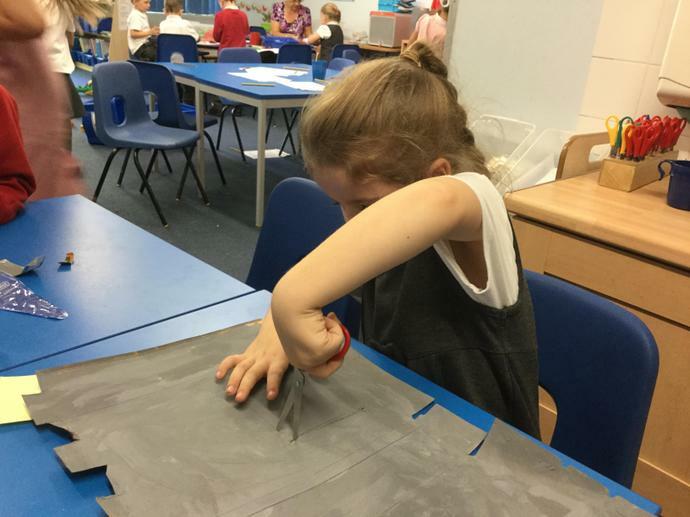 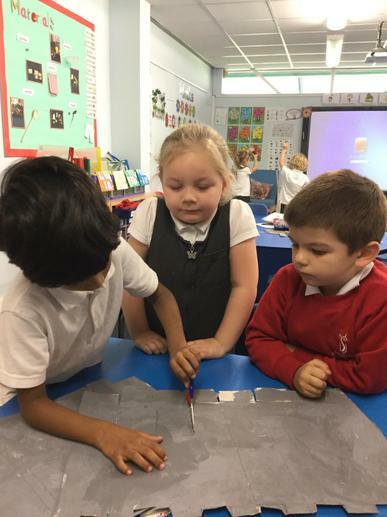 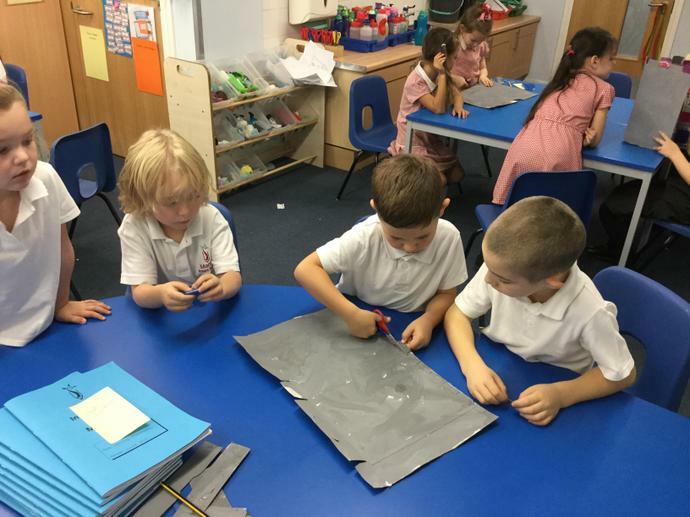 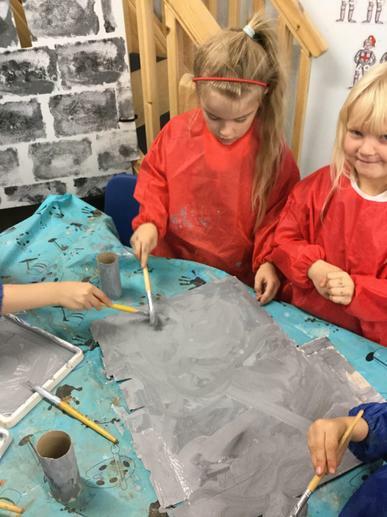 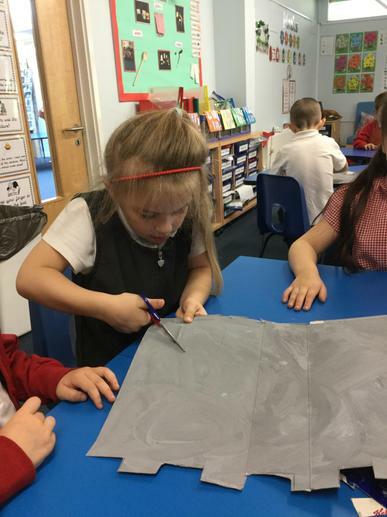 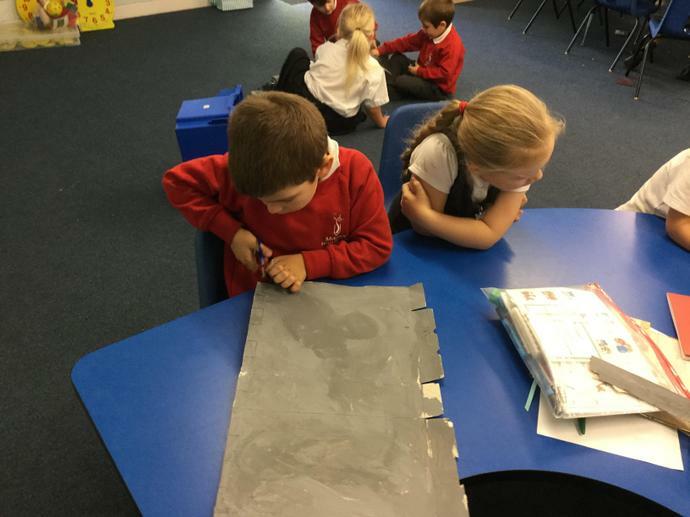 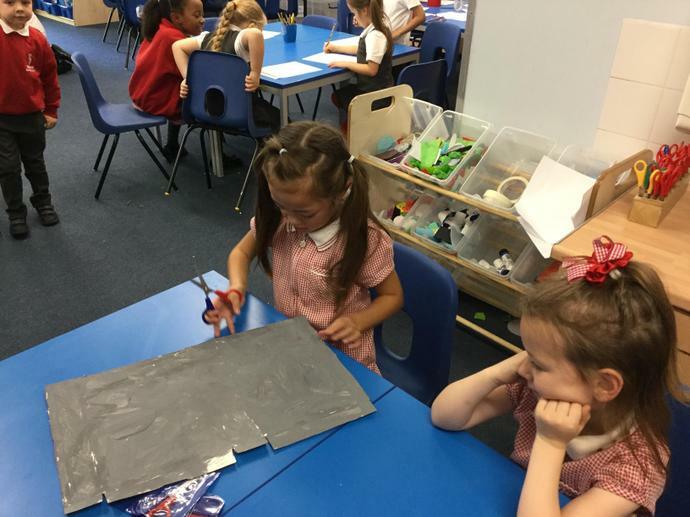 We painted our boxes grey to look like stone and carefully cut out the battlements and drawbridge. 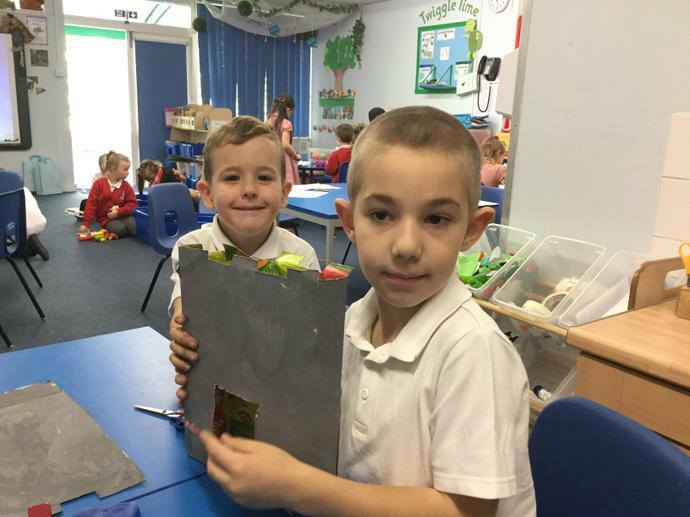 We had a lot of fun making them! 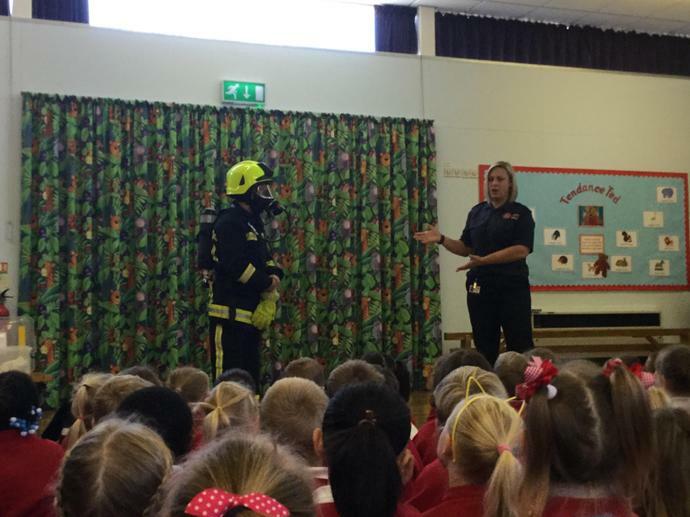 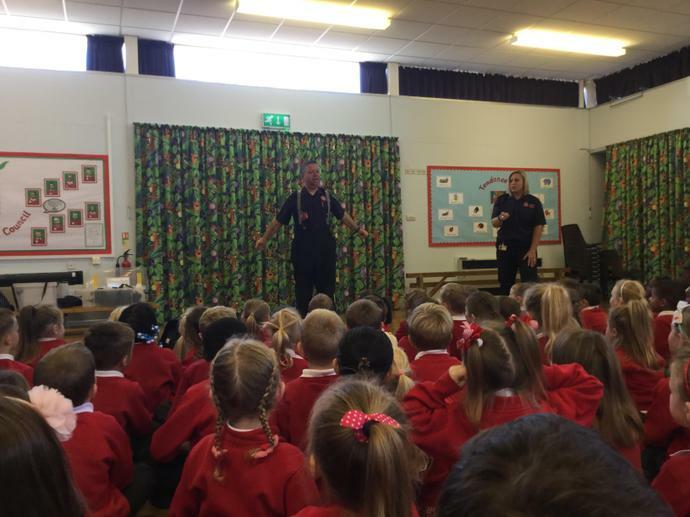 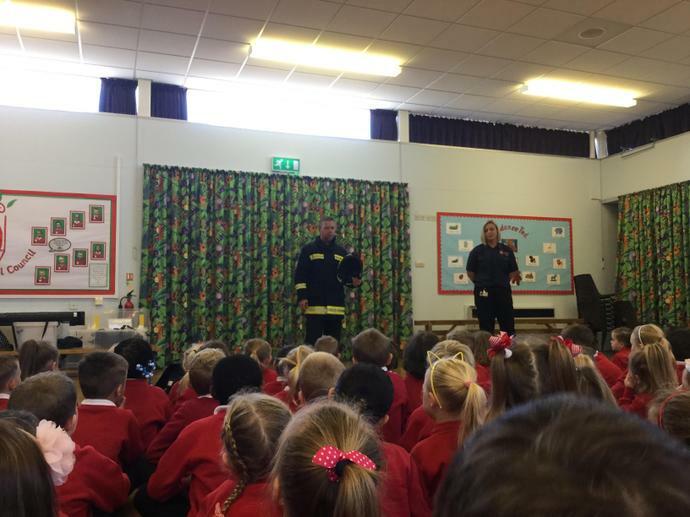 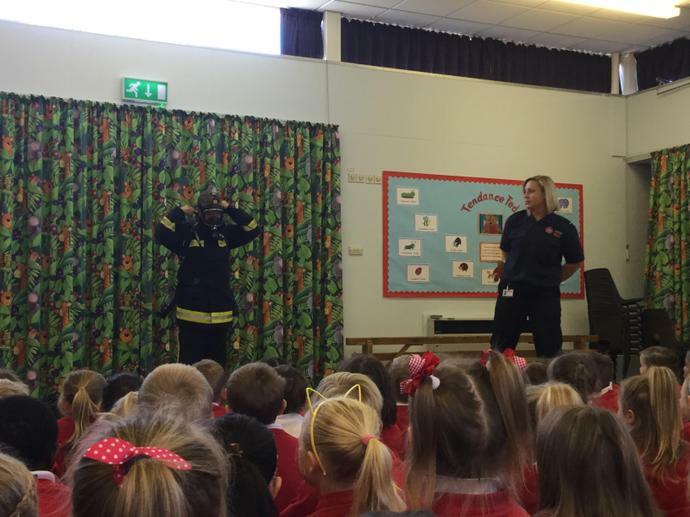 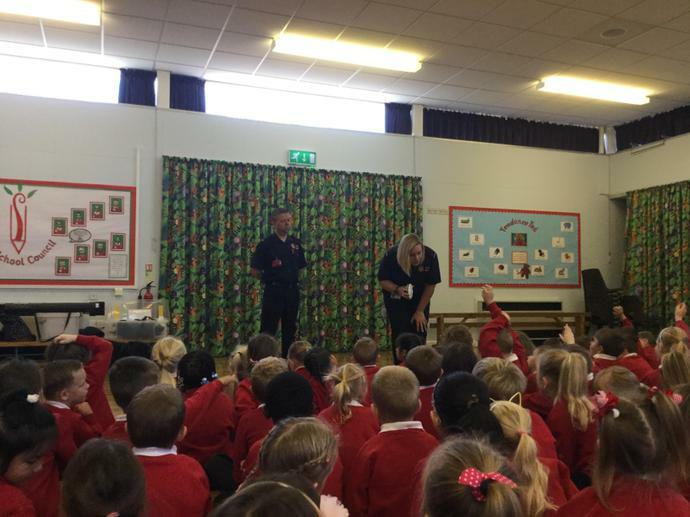 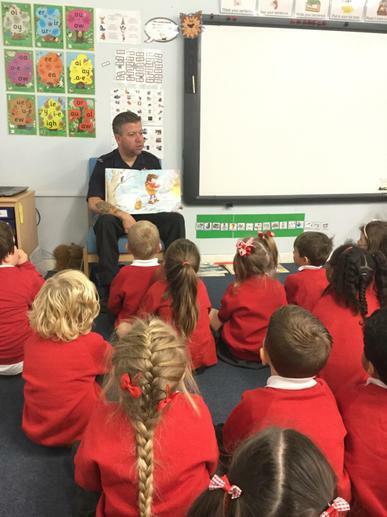 We were lucky enough to have the Fire Service visit us at school this week. 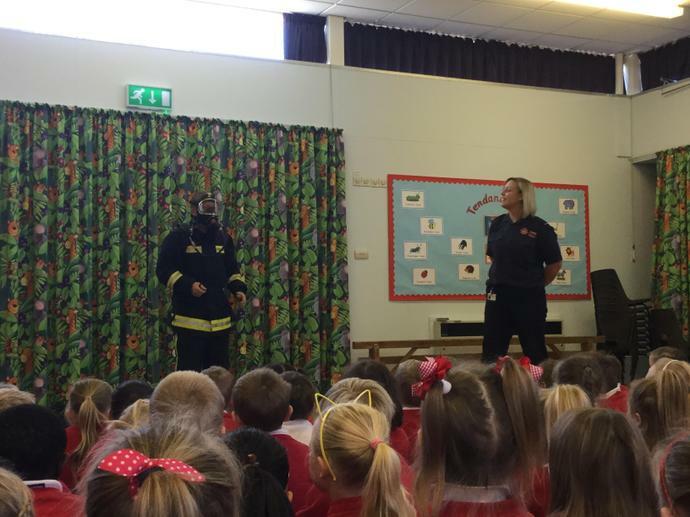 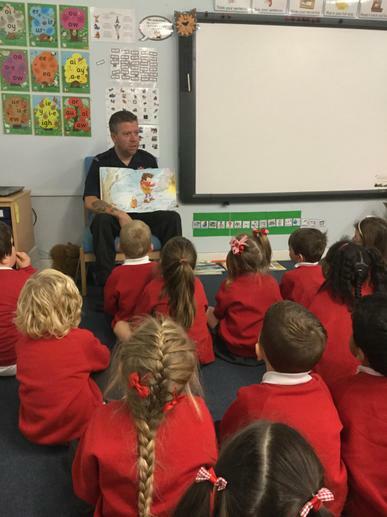 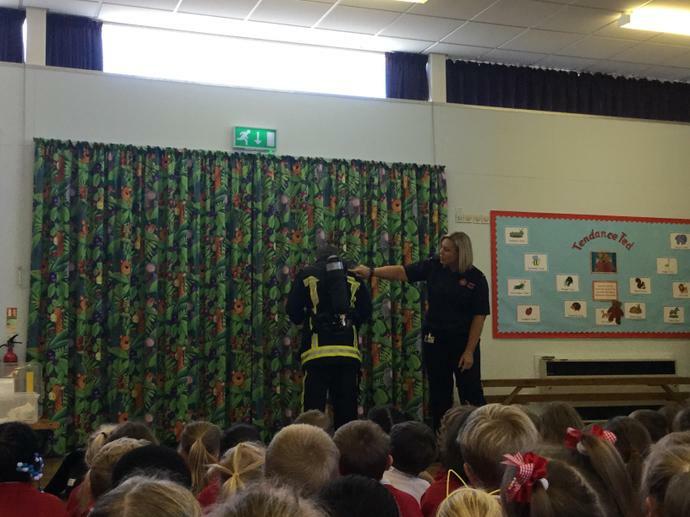 We learnt how to keep safe, what to do in the event of a fire and learnt about what a fireman wears. 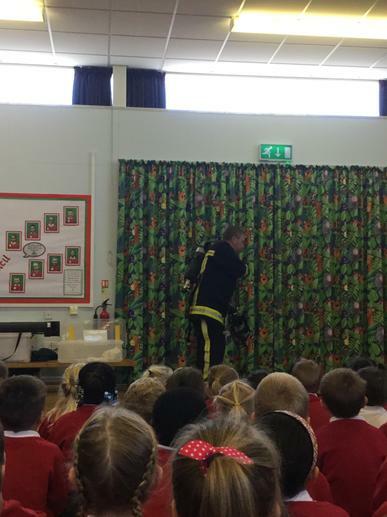 We also got to have a look inside a fire engine and have a go with the powerful hose! 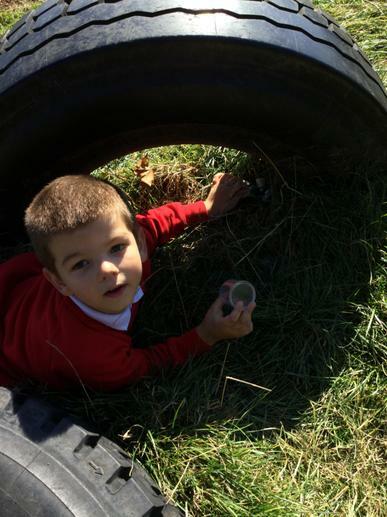 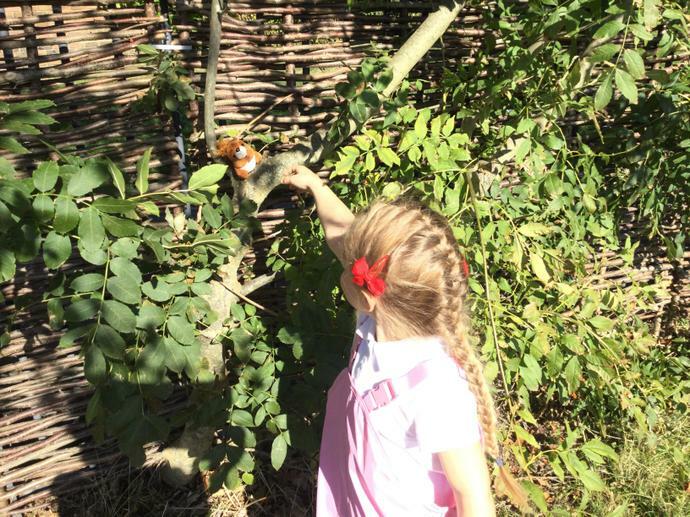 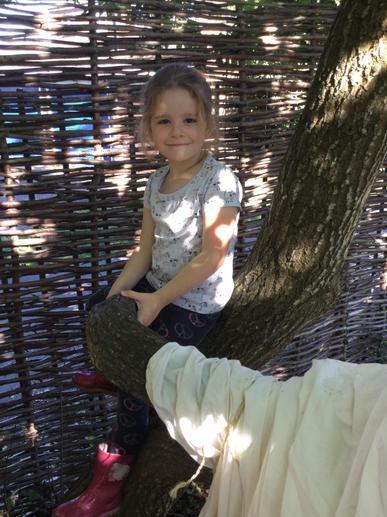 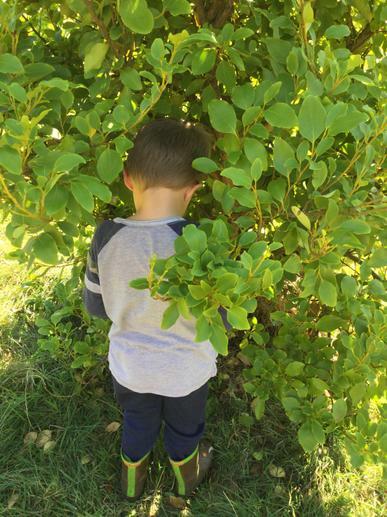 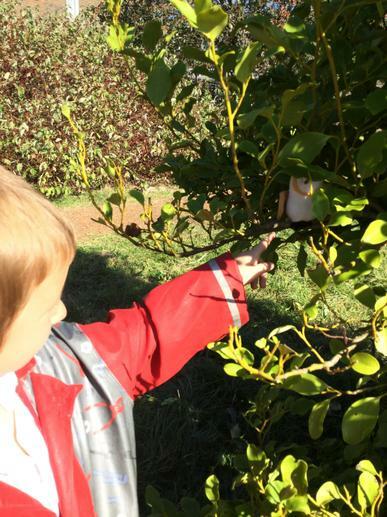 We have really enjoyed our first few sessions of Forest School Lite this term! 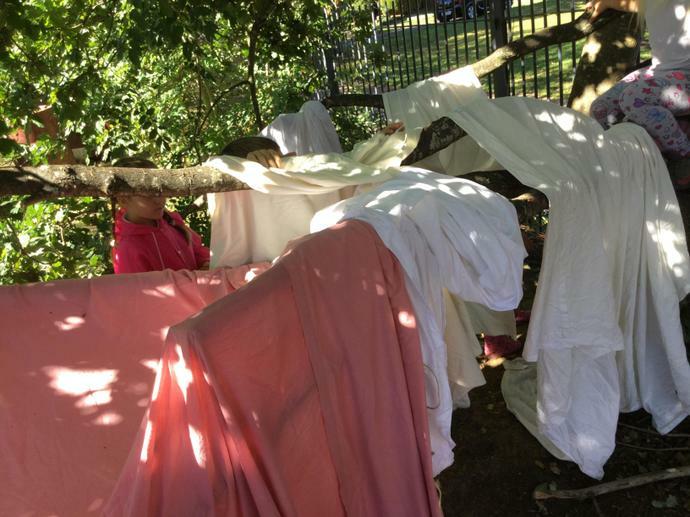 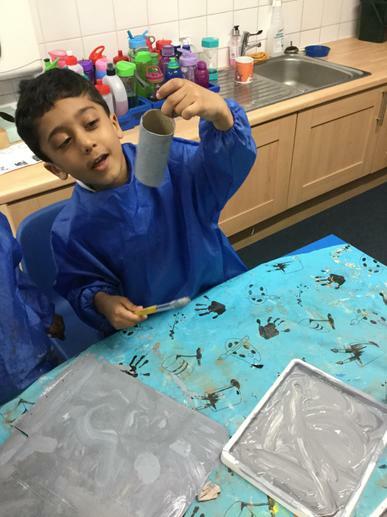 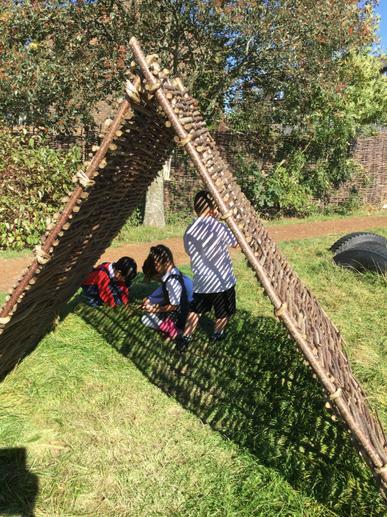 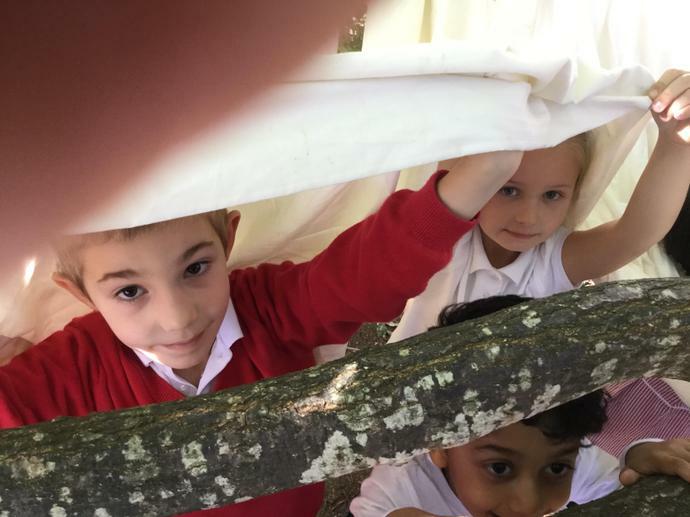 We have enjoyed activities such as den building where we have had to work as team and communicate with others. 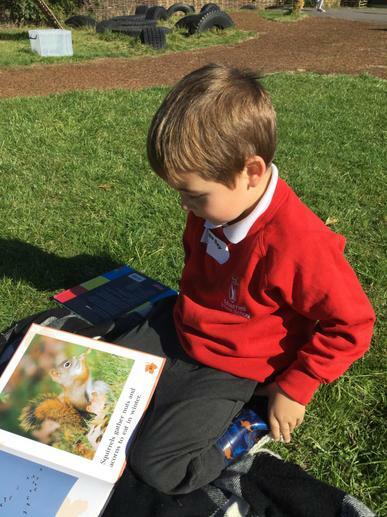 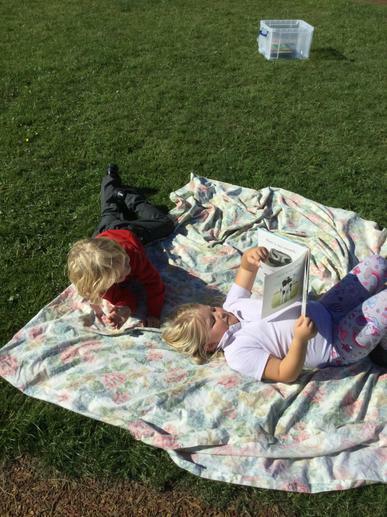 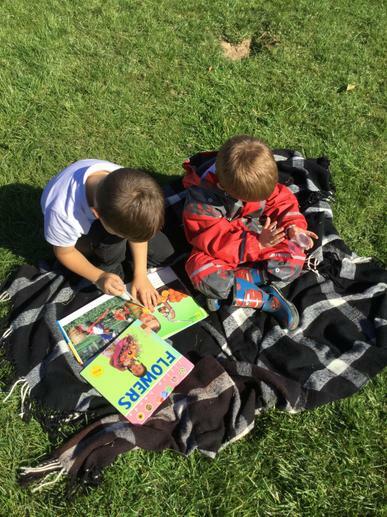 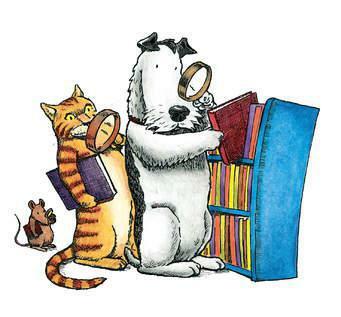 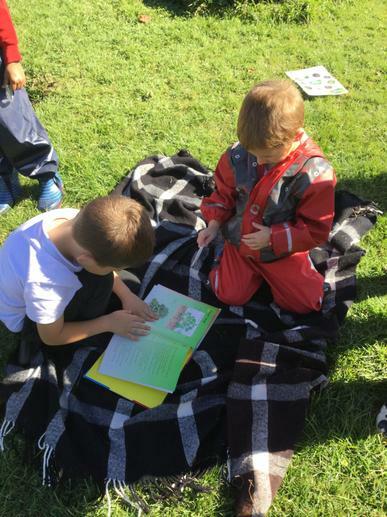 We have also used what we know to build/find homes for little woodland creatures and we have had time to relax and read a good book to find out more about the world around us. 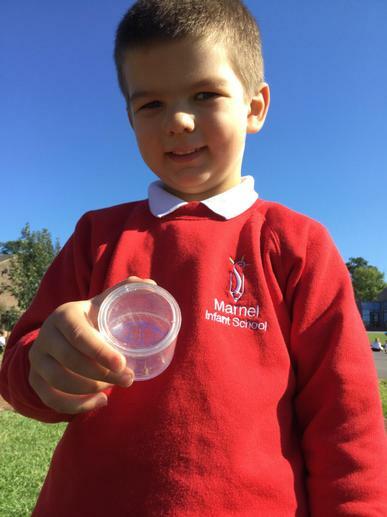 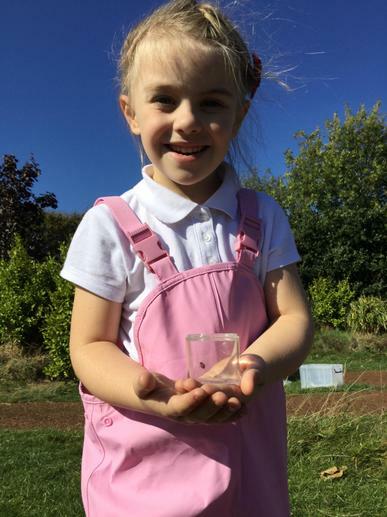 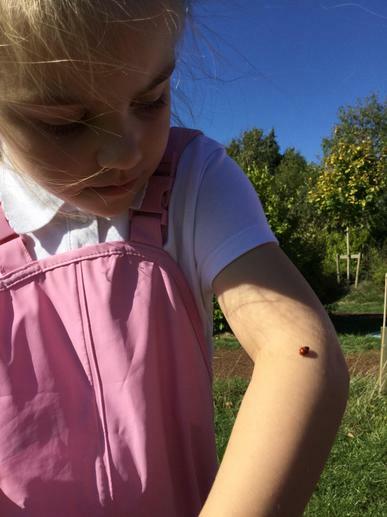 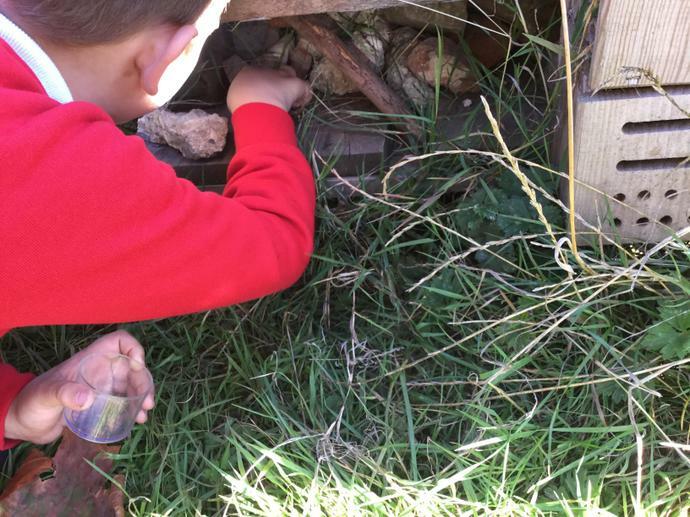 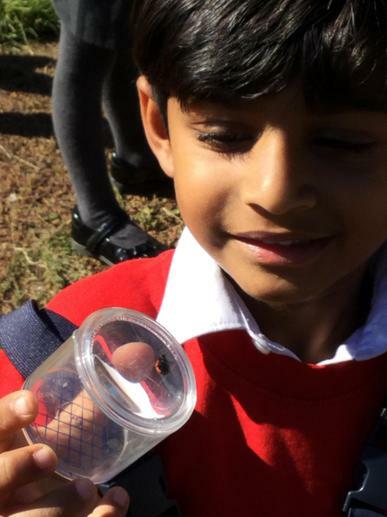 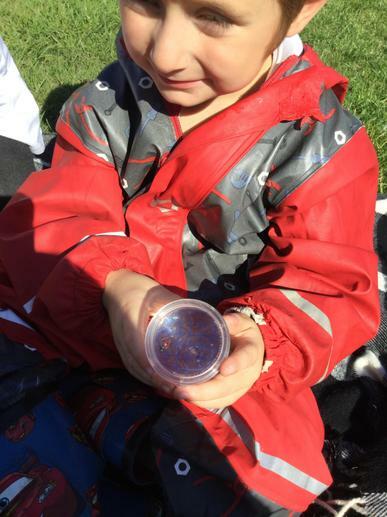 Some of us were even lucky enough to find some minibeasts and use some magnifying pots to see them up close!